If you’re a devout Instagrammer, you’ve probably already heard this term: IGTV. When you open Instagram’s app on Android or iOS, you’ll certainly notice a new button to press, and I’m sure you’ve already been bugged by some orange messages that ask you to click on this button. Before you go off exploring on your own, let’s remove any doubt. What is IGTV and how do you use it? We’ll explain everything in this article! The name comes from the acronyms used to indicate Instagram (IG) and television (TV), and as you can imagine, it’s a service that lets you enjoy video content. Unlike the Stories that you know well by now and that disappear after 24 hours on your profile, the new IGTV videos will stay on your channel, as is the case with other video platforms like Vimeo and YouTube. The main particularity of the service is that there are only vertical videos, as was already the case with Stories. So you’ll need to get ready for the new experience of viewing vertical video content, which is 100% designed for use with smartphones and aimed at a young audience. Instagram probably wants to target the market share of young users that still don’t use social media like Facebook or YouTube, but still prefer platforms like Instagram, Snapchat, etc. For the time being, IGTV doesn’t have any advertising content, and as a result, there’s no monetization system based on the content uploaded or the views. This function will probably be introduced later to attract as many users as possible. The new service is available to everyone via the Instagram app or website. In case you’re a creator, meaning people interested in uploading videos on the platform, you’ll have an easier life if you download the special app called IGTV. How do you watch IGTV? 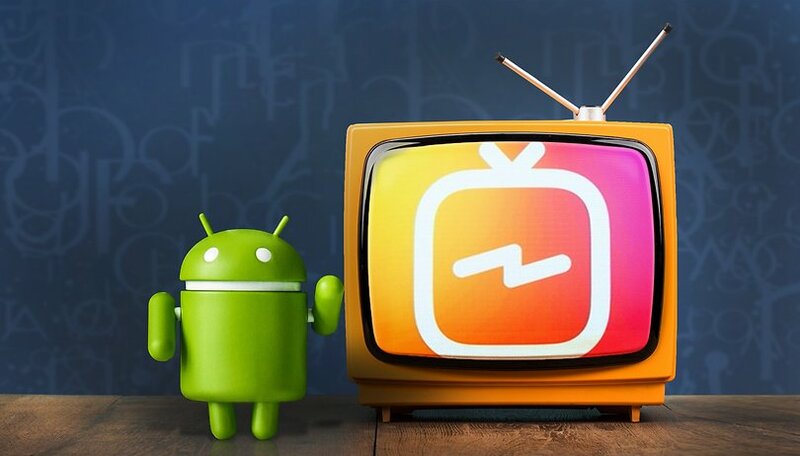 Alternatively, you can download the IGTV apps, although at least for now, my advice would be to only download the app if you’re planning to manage your own personal channel. For you: videos chosen by Instagram according to your tastes and friendships. Following: here you will find only the videos from the profiles you follow, without any distractions. Popular: a section similar to Instagram's "discover" tab, where you’ll find the most popular videos on IGTV. Continue watching: here’s where you’ll find the videos you started but never finished. You can also find the contents or profiles you are interested in by using the appropriate search field. You can show your appreciation for the videos you’re watching by pressing the Like button (the heart-shaped button), comment via the speech bubble button or share the video via Instagram Direct (Instagram’s private messages). How do you upload a video to IGTV? You first need to create a channel to upload a video to IGTV. Once you’ve arrived in the IGTV area (both in the Instagram app and in the dedicated app), just click on the gear on the right. You’ll find an item that says “Create Channel”, and if you click it, it will take you to an assistant that helps you create your own channel. Once you’re finished, you’ll be ready to upload your first video on IGTV. Videos uploaded to IGTV need to follow precise rules due to the peculiarity of the platform. They must be in an MP4 format. The video format needs to be between 4:5 and 9:16. The duration of the video should be between 15 seconds and ten minutes for standard profiles. File size cannot exceed 650MB for videos less than 10 minutes of 5.4GB for videos up to 60 minutes. Videos longer than 10 minutes must be uploaded via PC. If your video meets these requirements you can upload it to your channel. Just go to IGTV, click on the photo of your profile and then click on the (+) button on the right. You’ll be asked to enter a title, a short description and a photo. I can't stand vertical videos. What do you think about IGTV? Will the new video platform be able to intimidate big competitors like YouTube and Twitch?